15' Touch Screen, 2 GB RAM, 360 GB HDD. 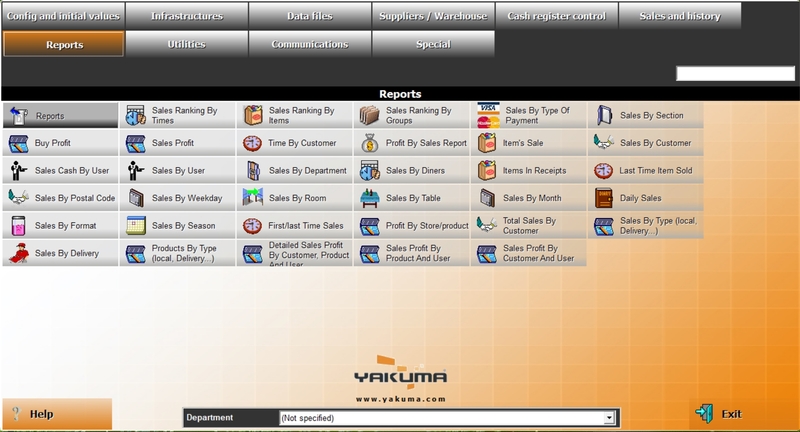 YAKUMA POS Software Back Office Manager consists of tons of useful features which we have learned with industry experience of about 17 years. In this section of YAKUMA, Back Office Manager can define initial configuration to use the software environment accordingly. 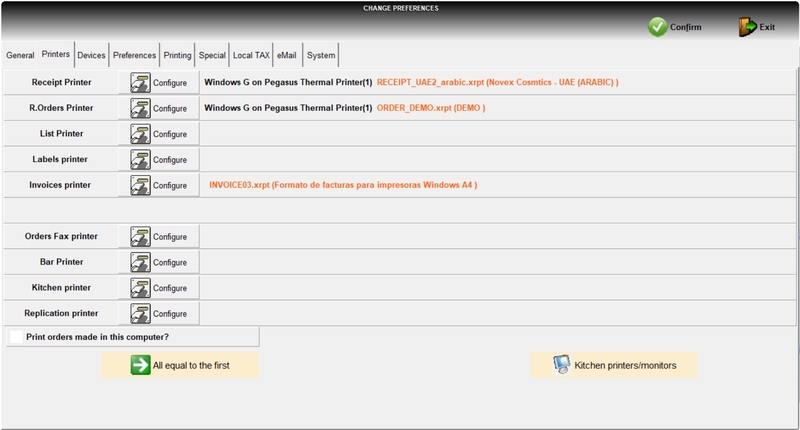 A manager will be able to view Program Information, Global Variables, defining different companies, defining Stores and their connections, User Management with their Security Roles, Table Management (in case of Hospitality Version) and Language Settings. 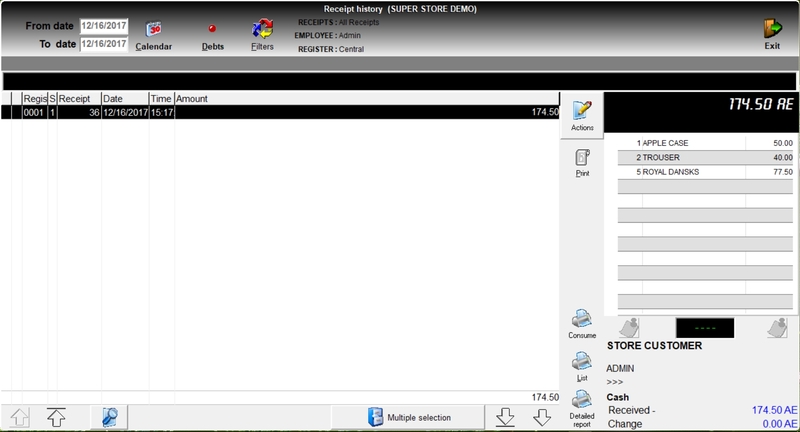 In this section, Manager User will be able to define regional setting, Currency Setting with their exchange rates, defining type of payments like Cash, Credit Card, Debit Card, Master/Visa, Setting Up Tax Ratio, defining Sections and Departments for better control over company and reports, defining Modifiers and Messages for communication over network printers and stores, defining formats of saleable items, kitchen messages, menu courses, setting up Trademarks, Discount configuration and production division is part of this important module of YAKUMA POS Software. This section is the most important section of YAKUMA POS Software. Here you can define all of your saleable, nonsaleable items under specific groups. Using this section you can define your items in a very comprehensive manners. You will be able to create the single item or combo offer also. There are lots of options available in Items sections to manage primary values, prices, unit of purchase, saleable measures for items to be sold on cash counter. 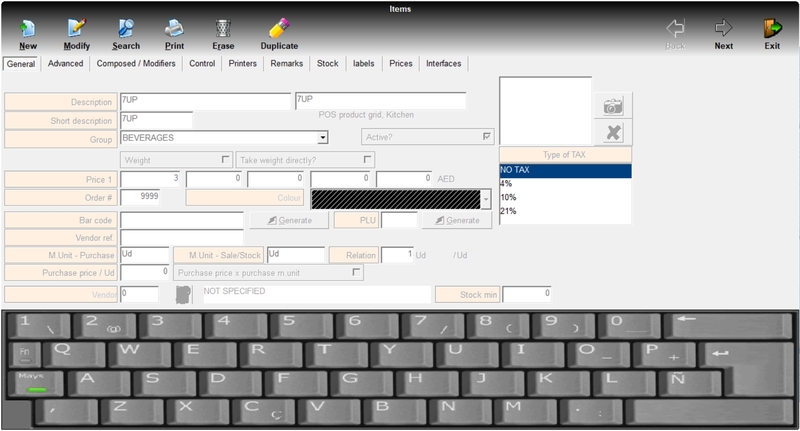 You can also generate barcodes for each item or use existing barcode on the item itself can also be used. Defining Customers with their information to manage their history or pending collection is also part of this section. You can also define your vendors to distinguish purchases and stocks. 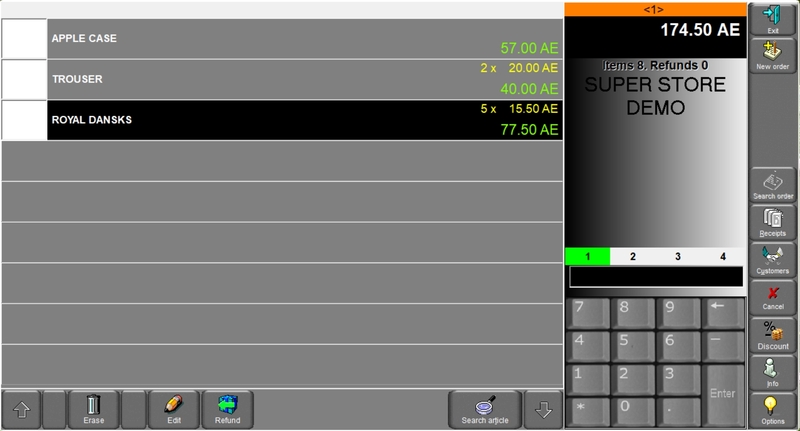 In case of Garments/Fashion Size and Color, option is also available in this POS Software. You can also generate Loyalty Cards for Customers (this feature is available as per business rules of each customer at an extra cost). Lots of Options to define and manage your Items according to their type, price, units, stock, combo's, offers and many more. 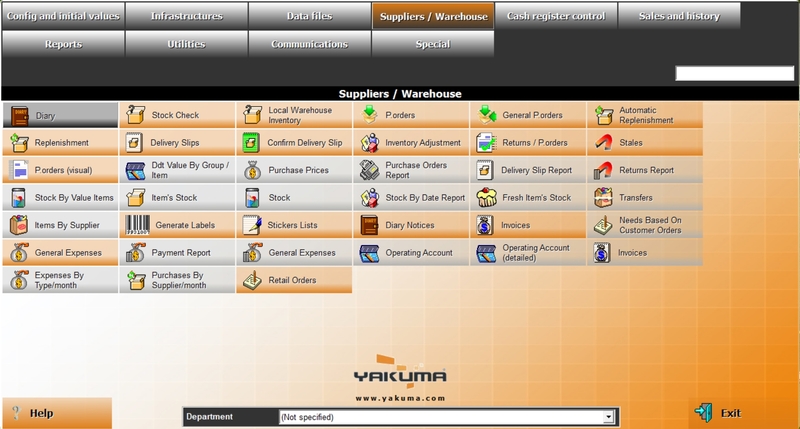 YAKUMA POS Software System has a full range of comprehensive and complexed Inventory Management System starting from Purchase Orders to Stock Movements and Distributions to different Stores. You can manage Main Warehouse and Multiple individual Stores to keep and sales of inventory items. Diary Notes, Replenishments, Delivery Slips, Confirmation of Delivery Slips, Warehouse Movements, and Inventory/Stock Reports are part of this system. 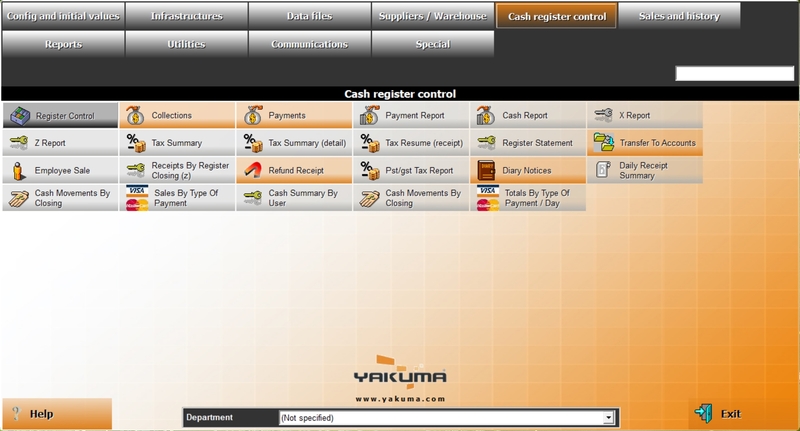 Cash Register Control Section of YAKUMA POS Software consists of Daily Cash Register Details from Cash Counter to Manager, Collection and if any payments made from Cash Till, a user can record it in this system for closing confirmation. 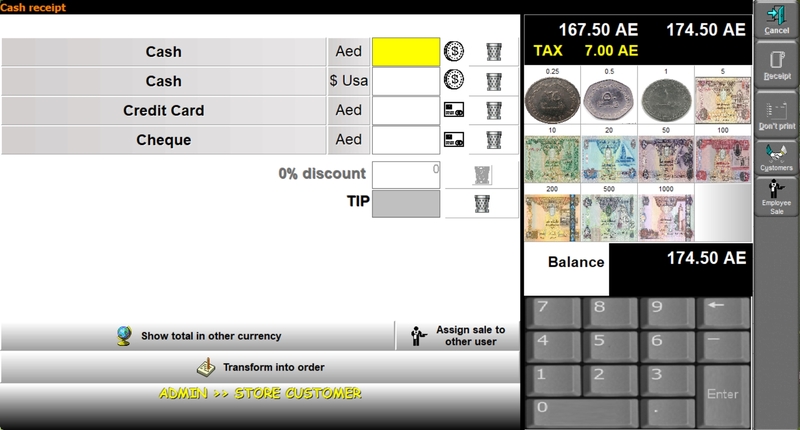 Register Closing X and Register Closing Z Reports with Daily Sales Details and Reports are available in this section. 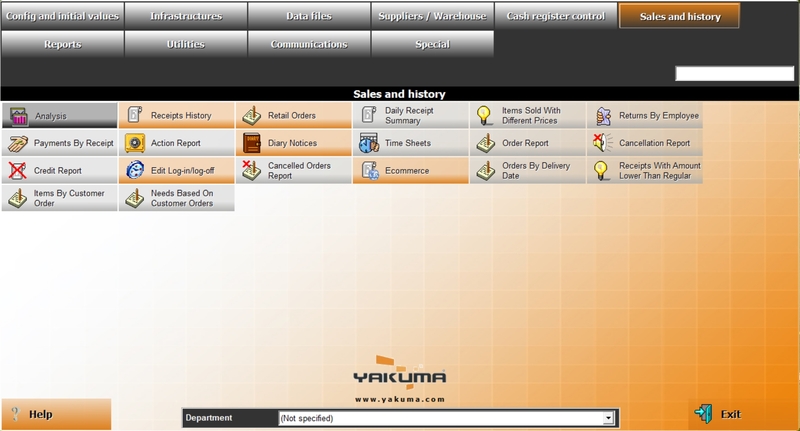 Sales & History Section of YAKUMA POS Software has Graphical Analysis of Sales History with filter implementation on Groups, Items, Employees and Time of Sales for owners/executive to make policies according to this. This section also contains very useful analysis reports like Sales Cancelled by Cashiers, Returns made by Employees, Order Report, Time Sheets, Cancelled Orders Reports etc. YAKUMA POS Software consists of lots of Reports like Time Wise, Group Wise, Item Wise, Payment Type Wise, Section Wise, Profit, Table Wise, Format Wise, Delivery Person, and lots of others. Each Report can be executed with the help of different parameters like from date to date, group, item, section, employee, etc. 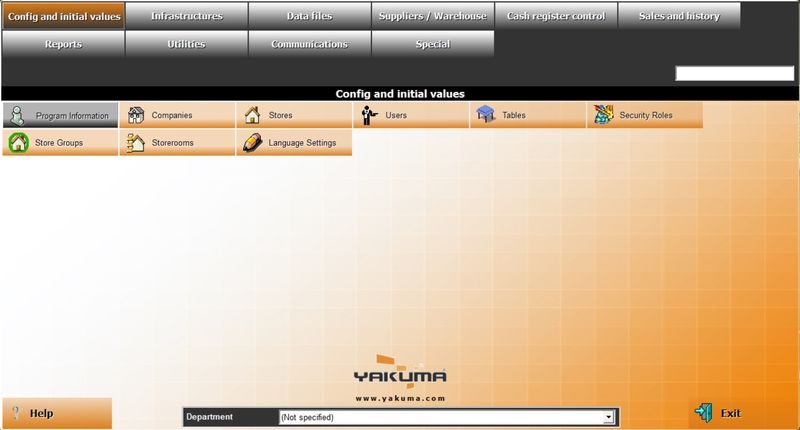 You can set the environment of YAKUMA POS Software to manage the preferences and global values according to your needs. You can setup Printers, Cameras, MCR Keys, Weight Scales, Emails and so many other options according to your business needs. 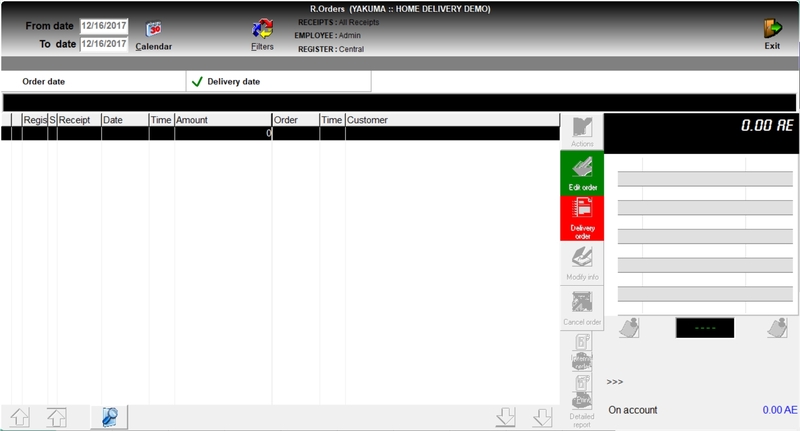 YAKUMA POS Software allows you to manage Advance Orders and Delivery also for your business.